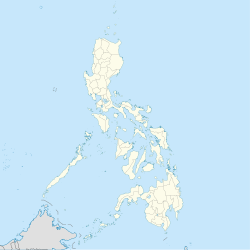 Tantangan, officially the Municipality of Tantangan, is a 3rd class municipality in the province of South Cotabato, Philippines. According to the 2015 census, it has a population of 43,245 people. Tantangan is politically subdivided into 13 barangays. ^ "Province: South Cotabato". PSGC Interactive. Quezon City, Philippines: Philippine Statistics Authority. Retrieved 12 November 2016. This page was last edited on 24 February 2019, at 10:54 (UTC).